The beautiful cathedral in Avignon France is called the "Cathédrale Notre-Dame des Doms d'Avignon". Its claim-to-fame is a gilded statue of Mary that is perched at the top of the Roman Catholic cathedral. 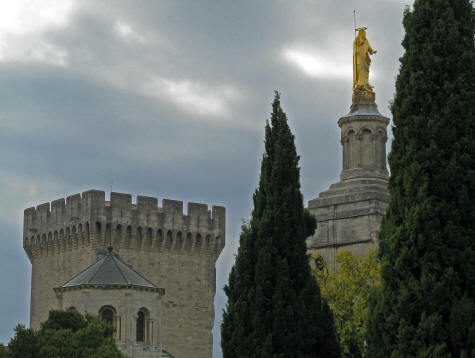 The Romanesque style building was constructed in the 12th century, before Avignon became the Vatican.